Contact me with any questions regarding the events listed below. If you are attending the local event, please RSVP through my VIP Group or contact me directly. If you need to mail a check, please contact me directly and allow time for receipt. To transmit credit/debit card information, let's do so over the phone. You can also transfer to me through Paypal at MlisRobinson@yahoo.com or click on the respective links, per event/fee. 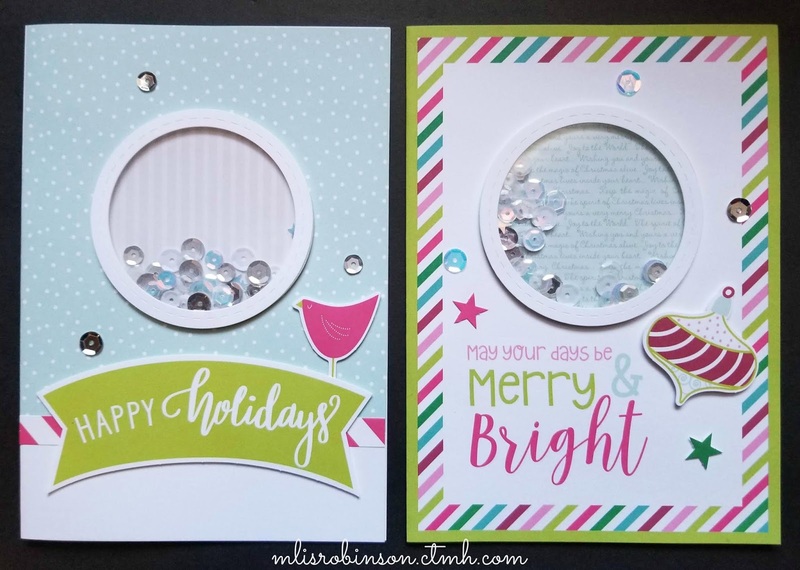 A "Holiday Sparkle/Shaker Card Class" will take place on Monday, October 29th, in the north Irving area. We will meet at 6 pm for dinner (dutch treat*) and then the class will commence at 6:30 pm. 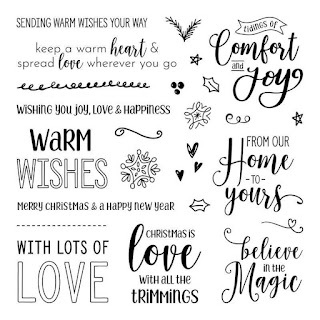 We will make 12 cards, 6 each of 2 card designs. There are a few class kit options available to you, with those details below. I would love to have you. The RSVP deadline is Tuesday, October 23rd, with payment due on or before the end of that day. (I do collect pre-payment because all products are ordered specifically for you.) You can pay me through PayPal, at mlisrobinson@yahoo.com (as a Friend, please), can click on the appropriate link for credit card payment, or contact me for another payment option, if necessary. 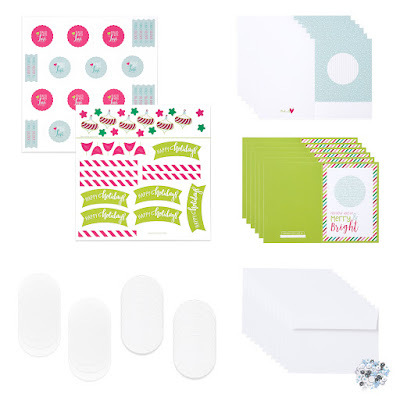 The $35 basic card kit includes 12 pre-printed card bases, 12 white envelopes, die-cuts, stickers, silver sequins pack, and shaker window foam & acetate pieces. (The price does include tax and shipping). Pay here. For just $46 (includes shipping & tax), your kit will include all things mentioned above in Option #1 PLUS the adorable All the Trimmings Stamp Set that includes perfect sentiments for the insides (and outsides) of your cards. 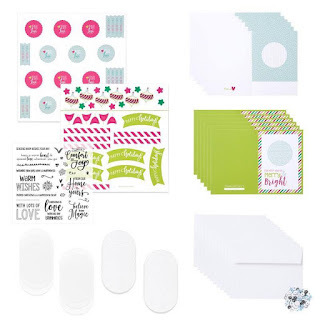 It's an $18.95 stamp set; a GREAT BUY and something you can use over and over again! Pay here. 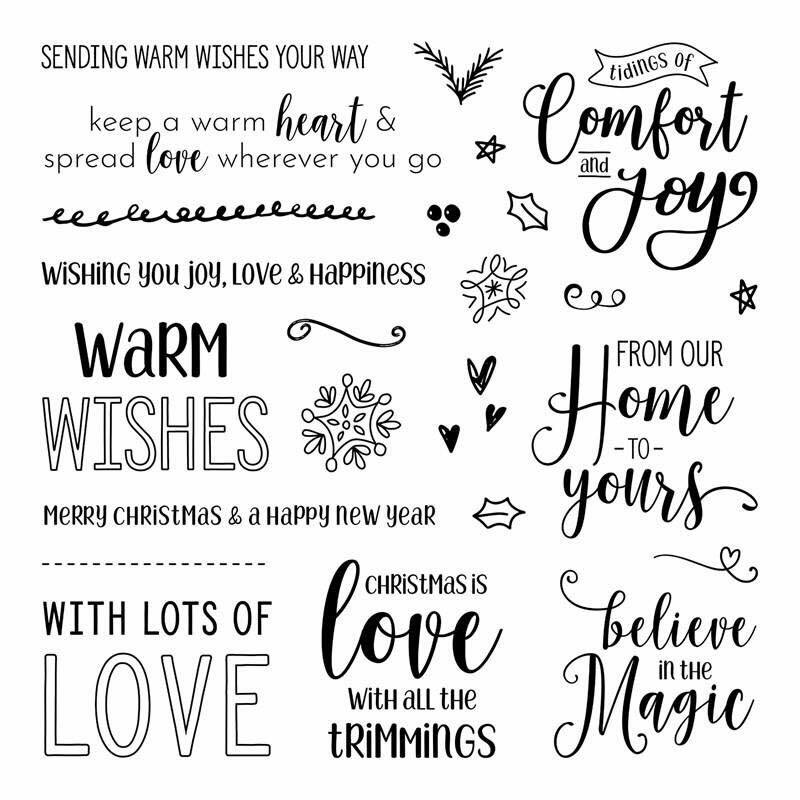 When you purchase this kit, you'll get to to make two cards - one of each design - as an opportunity to try them out! 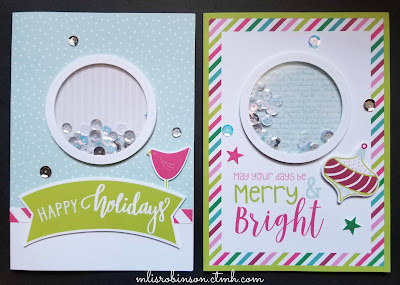 I guarantee you'll love them and so will those recipients who get one in their mailbox this Christmas! Pay here.